שפופרת למטבעות | מטבע כסף חיות המלכה משקל שתי אונקיות This capsule is a perfect fit for any 2 oz Queen's Beasts silver coin. 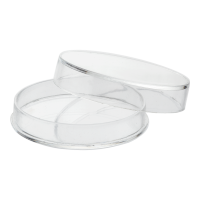 Protect your coins from scratches and tarnish with these beautiful transparent plastic cases. These cases feature an air tight seal and a flat surface suitable for stacking.